Thread: What size wheels under turbo flares ? Just wondering what wheel/tyre combos everyone is running with their turbo flares ? 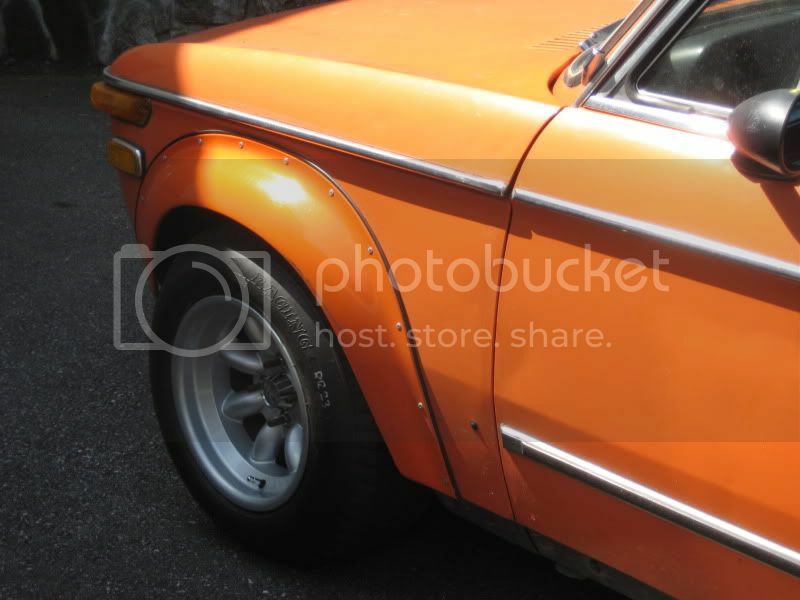 I just ordered some flares from IE and started looking for wheels, but I dont know what will or wont fit ! 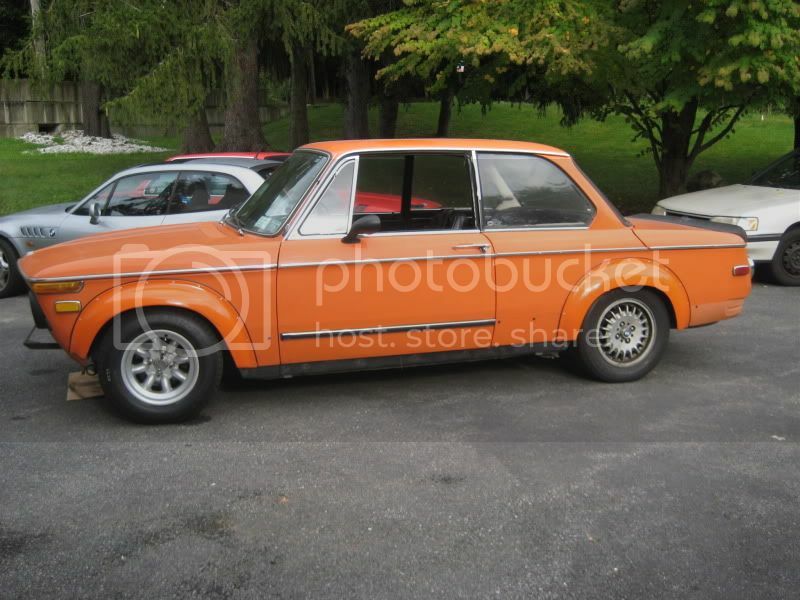 The car is hopefully going to have a turbo M42 so I would prefer to run a meaty tire under the rear. I have 15x8 et0 with 225-45-15 Hankook R-S3, and get a slight rub at full compression in the rear. et~10 would solve that issue, I have plenty of room to move things inboard. The front hits the footwell at full lock. Pictures in my Flickr link in sig. ^so at full lock, the outer edge of your tire is hitting? I would run the Rota RB's. They are 13x8 et4. they would look the part. 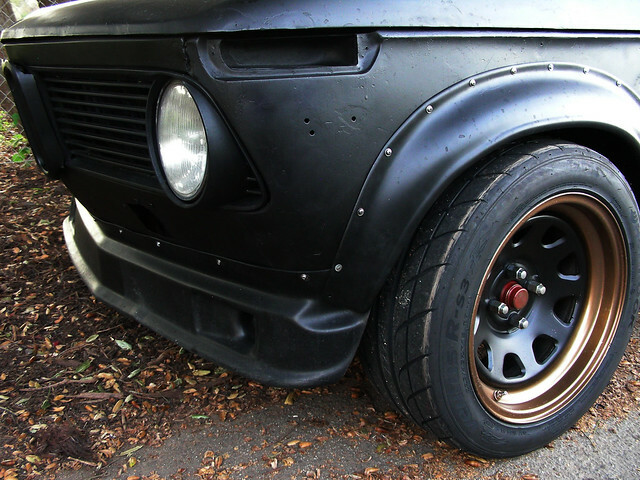 What size tires do you plan on running with a wide 16" wheel? About how much room do you have inboard ? Enough room to fit a 9 inch wheel with the right offset ? Anyone remember that black turbo with the style 5 or bbs rs wheels ? They looked like 17's, what wheels specs did he have ? I think there is enough room to run a 9" wheel with the same 225 tire, but honestly I don't think you'll have that much more support for the sidewall. It's already a little stretched on the 8" wheel. Diamonds are very cheap, especially used (check vwvortex) but steel and heavy. Mine are (I think) Spinwerks. I know they're aluminum, and they're the only ones I could find that made a 9 d-window wheel in aluminum. I bought them second-hand so I can't say for sure what they are. They came to me polished. I prefer the old school 13s...here is an 8 w/ neg 12 offset! Last edited by jrkoupe; 12-03-2010 at 03:00 PM. We'll be running 15x8.5 15x9.0 on our upcoming flared 02 build. We've used the combo before and it works well. 225/45-15 tires. I'll have to double check to see what offsets are. Hey @2000mkoop, what offset were you running on those 15x8.5 and 15x9.0? I'm guessing front would have to be at least -7 to get 4.5" of backspace, right? -14 in the rear? I want to run this setup right now. Looking at getting tii struts + e12 hubs + 15mm spacers (5x120 to 5x114.3 adapters).